At the Virginia International Raceway for the vintage races. 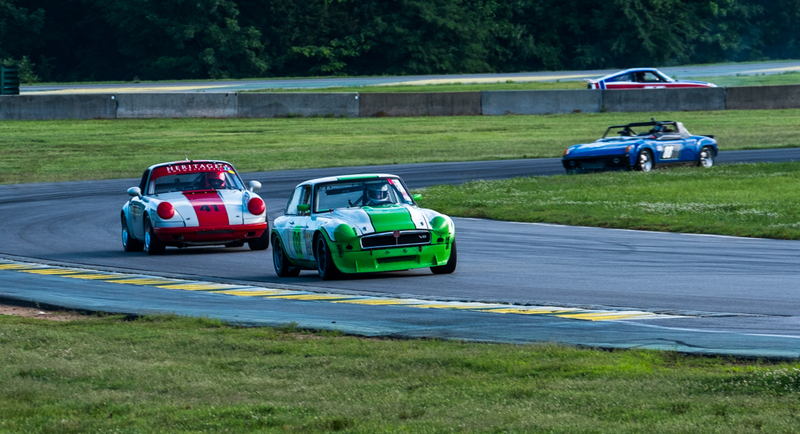 Here a V-8 powered MGB-GT leads a Porsche 911 and 914 out of the turn. 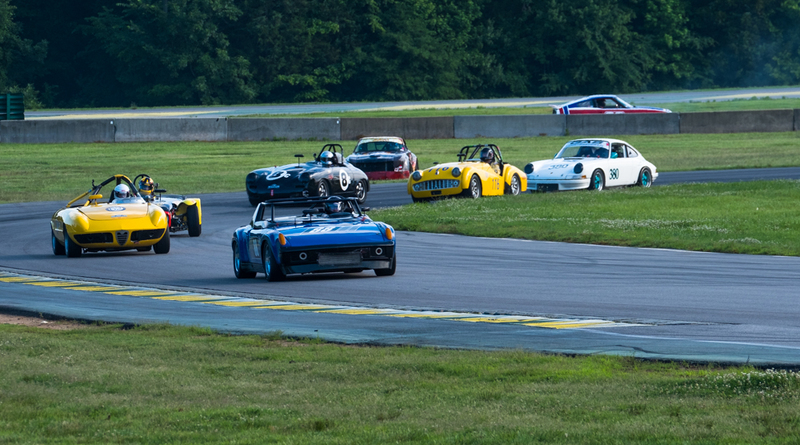 In the second photo the MG and 911 are gone and the 914 holds back a gaggle of cars, an Alfa, Lotus, Porsche 356, TR-3 and another 911 with a mystery car in the grass and a 240Z parked on the straight.